The shooting hand should be behind or under the ball. The other hand is on the side of the ball. Fingers should be spread comfortably and the grip on the ball should feel “natural”. 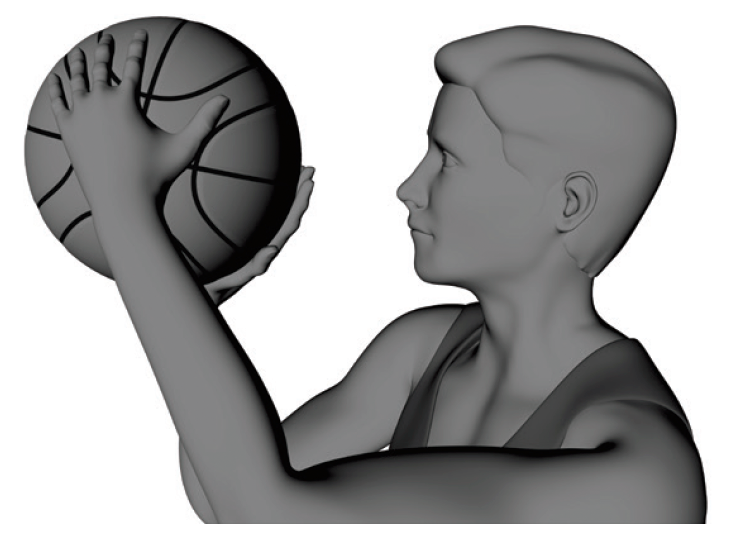 The elbow moves to a position underneath the ball, and the non-shooting hand remains at the side of the ball. The shooting “action” is now to push up.